Taking place in the fictional city of New Detroit, Earth Defense Force: Insect Armageddon is a completely new game developed by Vicious Cycle that takes on the concept of Earth Defense Force 2017 (Japanese Title “Earth Defense Force 3″ developed by SANDLOT). The Manhunters are an android race, originally created by the Guardians of the Universe to serve as the first interstellar police force. The Manhunters became more obsessed with administering punishment than serving justice, forcing the Guardians to dissolve their ranks. The few Manhunters that survived fled into exile and the Guardians founded a new elite police force called the Green Lantern Corps and armed its memebers with specially crafted power rings. Now the Manhunters are back and out for revenge, readying their forces for a war against the Guardians and the Green Lantern Corps. Faced with destruction, the Corps is looking to you as the newest recruit, gifted but cocky test pilot Hal Jordon, to protect peace and preserve justice. Building on the anticipation of Warner Bros.’ feature film Green Lantern, in theaters June 17, 2011, Green Lantern: Rise of the Manhunters includes the likeness and voice talent of Ryan Reynolds as Hal Jordan, who is the star of the upcoming motion picture. 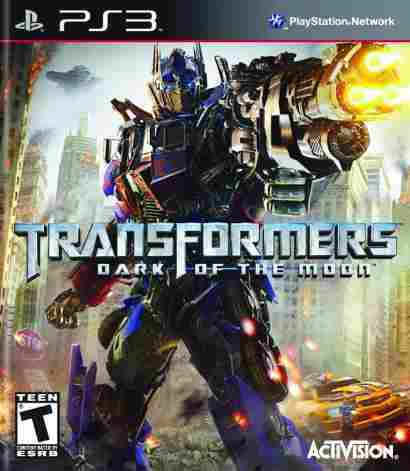 The Transformers: Dark of the Moon video game allows players to fight through the epic battles on Earth that will shape the events of the movie. Armed with a brand-new gameplay mechanic, fans will harness the power of Stealth Force to instantly convert to a third, hybrid state that combines the weapons and firepower of robot mode with the agility and maneuverability of vehicle mode. Set in unique environments around the world such as the Jungles of South America, Siberian military facilities, Detroit Cityscapes and more, the game lets players assume the roles of a diverse roster of everyone’s favorite Transformers from the movie through a heart-pounding campaign to save mankind. 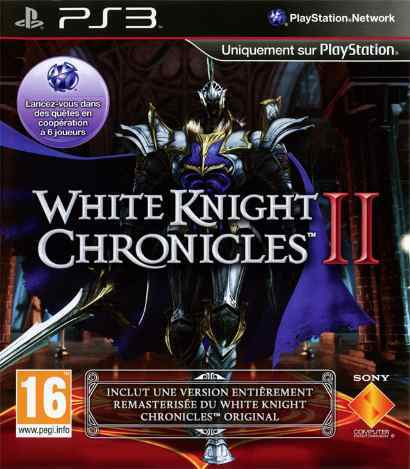 Additionally, fans can play the game with or against their friends through intense, online multiplayer game modes as their favorite iconic characters. 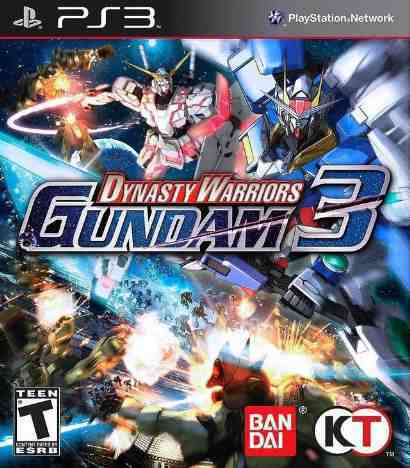 Dynasty Warriors: Gundam 3 is a Hack and Slash Action game with elements of Strategy gameplay. Based on the Gundam anime series, and the sequel Dynasty Warriors: Gundam 2, Dynasty Warriors: Gundam 3 features 50 playable and upgradeable characters and over 70 playable and upgradeable Mobile Suits. 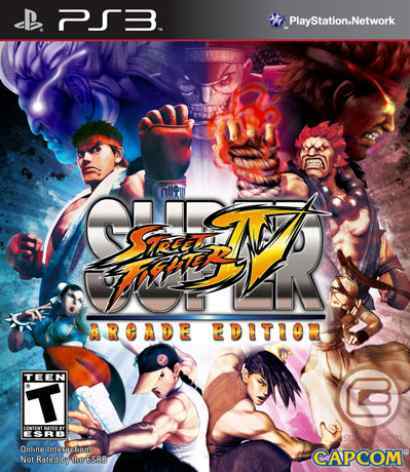 Additional features include: deeper gameplay systems than in previous games in the series, the return of story mode, hundreds of hours of gameplay and multiplayer game support up to four players. F.E.A.R. 3 is a First-Person Shooter (FPS) that blends classic single and multiplayer combat with the unforgettable Horror/Survival gameplay that the F.E.A.R. franchise is known for. 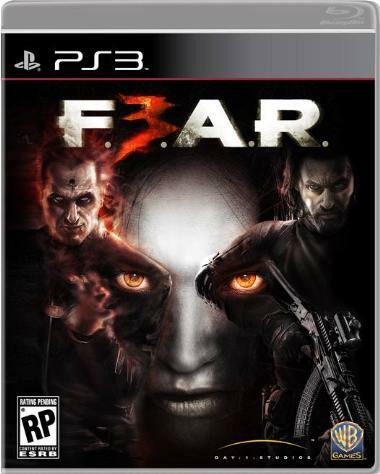 The third game in the F.E.A.R. series, F.E.A.R. 3 continues the intricate storyline tying together the psychically dangerous mother Alma Wade with her two sons “Point Man” and Paxton Fettel, as well as the F.E.A.R. operations team. Players take control of both “Point Man” and Paxton Fettel at different times in the game, utilizing each’s unique abilities and powers in a dark adventure that will test the player’s loyalties, combat skills and sense of duty. Additional features include: co-op and multiplayer modes, cinematics and story input by John Carpenter and Steve Niles, and additional downloadable content (DLC) available online. 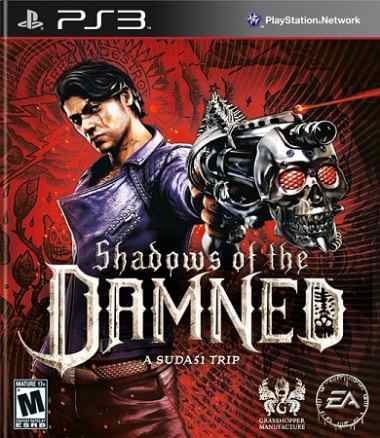 Description: With Shadows of the Damned, creative geniuses Suda 51 (No More Heroes) and Shinji Mikami (Resident Evil) present an all-new vision of hell unlike anything seen before! A psychological action thriller, Shadows of the Damned follows a demon hunter deep into a hyper-twisted re-imagining of hell where he must rescue the love of his life by defeating the armies of darkness with the power of the light. 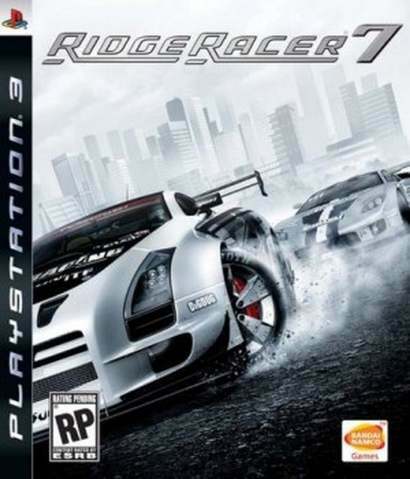 Ridge Racer 7 once again whips the racing series in a frenzy, with movie-quality visuals and a stronger online component from that of the Xbox 360 game, Ridge Racer 6. Director Masaya Kobayashi, assistant producer Hideo Teramoto, and sound director Hiroshi Okubo all worked on the successful PSP and Xbox 360 Ridge Racers, and are aiming to use RR for PS3 as a showcase of the system’s power and capabilities. Expect 5.1 sound, blistering speed and graphics, 20 courses to racer on, online play for as many as 14 racers, implementation of cool Nitro system showcased in the last two versions, car customization options for at least 200,000 car variations per vehicle, and significant improvements in online play (including cooperative team play.) Best of all, Reiko Nagase returns in Ridge Racer 7, bringing back the racing queen of your dreams! 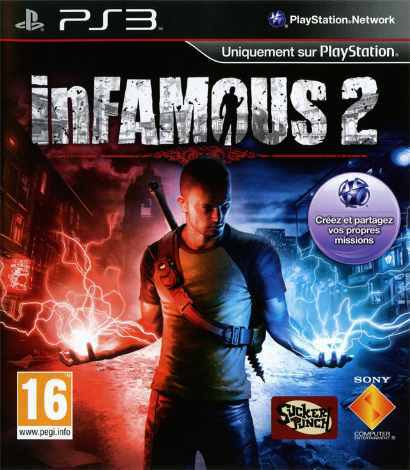 infamous 2 is a single player, Open World game, exclusive to PlayStation 3. The second chapter in the best selling infamous franchise, this immersive adventure offers a powerful, emotional, and visceral take on being a superhero, and the choices that involves. 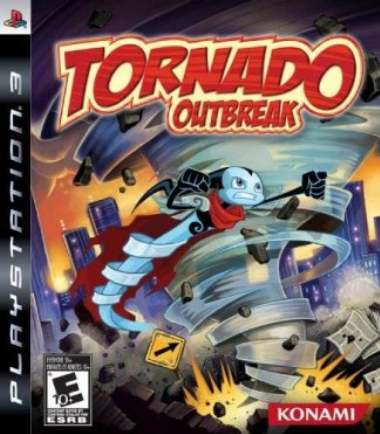 Features include: a unique blend of electrical and melee combat abilities, epic boss battles, a new morality system allowing for two possible game endings, user generated missions and more. 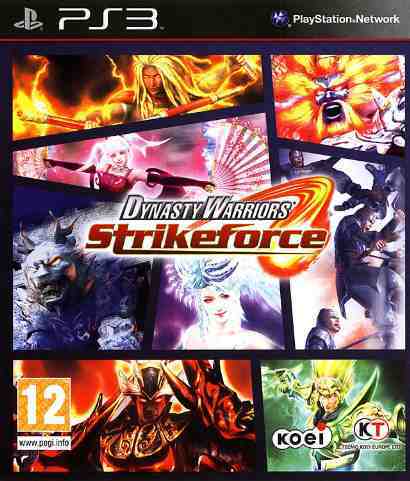 Dynasty Warriors: Strikeforce is a game unlike any other in the franchise. Until now, the quintessential Dynasty Warriors experience pitted a lone warrior against thousands of enemies. For the first time in a Dynasty Warriors game, up to four friends can join together to form a “Strikeforce”. Working as a team, players can plan coordinated assaults to conquer massive armed fortresses and colossal beasts.